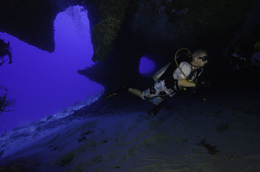 Info: A favorite dive among experienced divers. High probability of swift currents and moderate to rough seas. Sharks, large pelagics, and a large cavern at 115′.